I want to remind you that despite how people might appear on the outside we never know the whole story about what’s going on in someone’s mind. It’s also good to be reminded that happiness (and loneliness) doesn’t only depend on external factors or material things and that no matter how bleak things sometimes seem to be, they usually improve. My tattoo of a peacock (India’s national bird) reminds me daily of lessons learnt when I got soaking wet in the monsoon rains in India. I first wrote this article just one year after I the breakup of my marriage. I travelled to India with Explore and travelled with a wonderful group of people – and whilst it’s a cliché – India truly was a life-changing experience for me. My children had chosen to cut me out of their lives, I was being bullied in work and I was floating around in a (prescription) drug induced haze following an emotional breakdown. I needed a change and I needed it quickly if I were to begin to rebuild my life and my self-esteem back up. I have been at my loneliest whilst sat on an exquisite beach in Mexico and I have been at my happiest soaked to the skin in the monsoon rains in India. Let me explain. A luxury holiday in the Caribbean. The turquoise Caribbean sea lapped against the hot white sand whilst emerald green hummingbirds darted around the manicured grounds of the five-star gated holiday complex. I lay on a sunbed gently toasting in the sun whilst a waiter brought me iced cocktails and my biggest decision of the day was whether to wander down to the beach or stay next to the pool. I knew that I was privileged to be able to holiday at such an amazing place, but I was hungry to see what lay beyond the gates and to meet the real people of Mexico. One day on this holiday, my husband and I joined an organised coach trip which took us from our resort to the iconic Chichen Itza site. We drove through towns and villages and we were offered tantalising glimpses of people going about their day to day business. After exploring the ruins I strolled ahead of my husband among the small stalls set up under the trees by local people. This was more like it; I spoke no Spanish yet I felt comfortable here among the people who were doing their best to attract tourists to their handicraft stalls. I wandered around intending to buy a couple of small things which cost just pennies from a group of ladies who proudly showed off a small baby to me, but I was persuaded by my husband to move on; that we didn’t need to buy the cute little handkerchiefs that they had made. Later that evening, as we sat in our hotel restaurant eating food that the stall holders could only dream of, I was angry for allowing myself to be dissuaded from buying a couple of lace hankies and years of unhappy experiences crowded into my mind. Sat on the beach the next day, I couldn’t stop the tears as I realised that despite being on holiday in such a beautiful place, I was deeply unhappy and feeling lonely in our relationship. It was on that holiday in Mexico that I began to seriously question the path that my life was taking. By the following June I had decided that things couldn’t continue as they were and when I really began to question the status quo, my life as I knew it imploded. One year later, in the August, I was holidaying at the other end of the scale. I had travelled to India during the monsoon season with the travel company Explore. I had been in a pretty bad way emotionally and a friend had suggested that I could do with a break. She recommended Explore and as I was not in any position emotionally to travel solo I took her up on her suggestion and I found myself in India with a small group of 16 travellers. On my second day in Delhi I was riding in a tuk-tuk with three other people – almost strangers to me at that point – when flash floods engulfed the city streets. 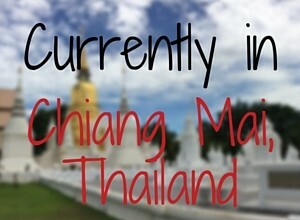 We had decided to use our free time and take a tuk tuk around the city when the rain began to fall. Drains blocked with rubbish soon began to overflow and the waters began to rise. Our driver ploughed on into the floodwater, oblivious to the fact that it was now well over the sill of his vehicle and was lapping around our hips on the back seat. I have to admit to being a little scared at that point and then, with our bags raised above our heads, and smoke belching out of the submerged exhaust, the machine coughed and then stopped. Assuring us that he would manage to re-start the machine and refusing all offers of help with a push, our driver indicated that we should get to some higher ground. We gingerly stepped out and waded through thigh-deep water to take some shelter in a shop doorway. Joining a group of cheerful Indian ladies with their sodden saris trailing in the water I tried to ignore the obvious lumps of sewerage which were floating past (thankfully at that stage I was oblivious to the dysentery that would soon follow) and the desperate poverty that was present all around us. My group of friends chatted about the rain and we worried about how we would ever find our way back to our hotel because the unpronounceable street name had been washed clean from the paper on which it had been written. We glumly looked out over the messy, untidy street where the filthy water was running and we tried to squeeze some of the rain water out of our clothes and our hair. On the contrary, the ladies giggled as they watched some men who had waded out to help push the tuk-tuk up a slope and then like men the world over, gathered around scratching their heads and offered mechanical advice – totally unfazed by their soaked clothes and the water lapping around their knees. The women told us that whilst the floods would cause many deaths (that year was particularly bad), the monsoon rains always brought a welcome relief from the sapping summer heat and it irrigated the parched land. The monsoon season was to be celebrated because the consequences should it ever fail were unimaginable. The first stage to my recovery. I stepped out from under the shelter and I raised my face to the deluge allowing the warm water to wash over me, imitating the little children who were playing excitedly around us. They had long ago discarded their clothes and their little brown bodies shone as they splashed and laughed in the rain. Marooned in the shabby backstreets of Delhi, surrounded by water and sewerage, the jewel-bright colours of the women’s silk saris reminded me of the humming-birds in Mexico. These ladies weren’t focusing on the negatives at all. They would have to wash the mud out of their clothes, their homes would be damp and travel during the monsoon season would be difficult but they could count their blessings that the rains had come and they laughed and chatted together. I was in a strange country with nobody who I knew, yet I was not lonely. I was truly happy and like a butterfly emerging from its chrysalis I felt reborn. I was taking back control of my life, and as I began to come out from the shadow of my marriage, my own identity blossomed and I decided that I liked the person that I was becoming. I couldn’t wait to see what I was capable of achieving next. Continue reading below the image and discover how I ended up in India when I had planned to spend 5 days cycling around the vineyards of Tuscany. 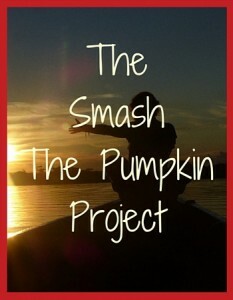 If you want to build your self esteem and maybe travel alone by yourself one day why not try the Smash the Pumpkin Project for a month (click here for more information). If you want to take a holiday but you would prefer not to travel solo I can totally recommend Explore. They are so good that I have actually taken 4 trips with them and I have made many long term friends via them. This link will take you to their website where you can book your dream trip. I had planned to go to Italy! I have already explained that my friend recommended that it might do me good to take a short break away from my problems and she gave me her Explore brochure. I wasn’t in a good place emotionally having recently experienced an emotional breakdown and needing some time on anti-depressants. One afternoon, I took my towel and a bottle of cider down to the communal garden of the small apartment block where I was living and I settled down to choose my holiday. I remember deciding upon a 5 day cycling tour of the vineyards of Tuscany in Italy. A bit of exercise, plenty of pasta and wine and some beautiful European countryside would be the perfect start to my recovery. I don’t remember much else because the cider, the anti-d’s and the sun all conspired together and I fell asleep in the sun. Obviously I got myself back into my apartment and settled down for the night because the next morning I woke up in my bed with a thumping headache and a nagging suspicion that I had booked my holiday. This feeling didn’t go away so I contacted the company and trying to ignore the fact that it must sound totally weird, I asked the operator on the end of the phone to confirm my holiday details for me. She reeled off my travel date just 6 weeks later and confirmed that I would be flying into Delhi for the start of my two week trip around the Golden Triangle of India. ‘You mean Tuscany…for 5 days….cycling?’ I questioned her. Suddenly I had a flash back to the previous afternoon and I remembered waking in the garden and finding that the wind had flipped the page of the magazine over to the India trip. It had obviously attracted me so much that I had gone into my apartment and phoned the company to reserve my spot! c) pull up my Big-Girl Pants and embrace the experience. Thanking the operator for her help I put down the phone and wondered how the hell I could go about applying for an Indian visa. The Universe will give you what you need. I didn’t think so at the time but I was certainly ready for India and I needed it at that exact moment in my life. Relax and accept what comes along. You WILL deal with it.